Beyond improving performance and capacity, a server refresh offers your team the ability to fundamentally improve the economics and operations of the entire data center with hyperconverged infrastructure (HCI). How? Continue reading this white paper to find out. 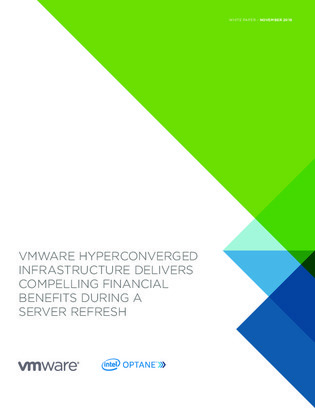 Inside, the paper details the day zero, day one, and day two (and beyond) financial and operational benefits HCI can provide your organization during a server refresh. You’ll also learn how HCI effectively lays the foundation for digital transformation initiatives, however you define them.